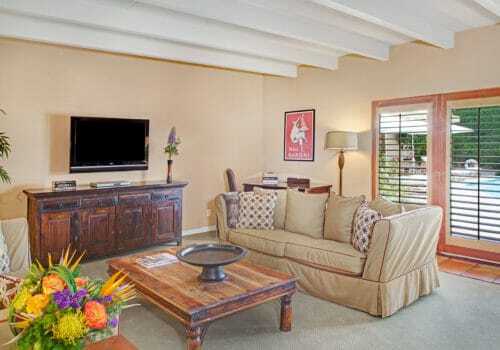 The Hacienda At Warm Sands is a luxury gay male resort in Palm Springs. It’s chic, secluded and surrounded by stunning mountainous landscapes. Saltillo-tiled patios and paths are dotted with fountains and Japanese water features. There are two large, heated pools and a spa. 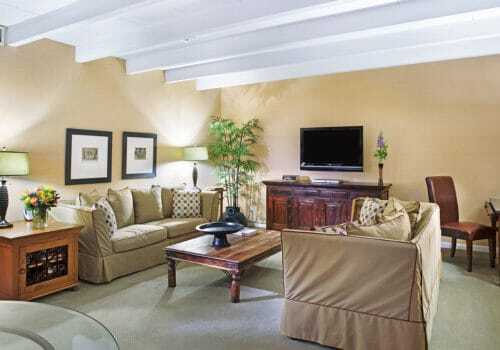 There are only 10 suites so the resort is very intimate. Day passes are not available – the pool won’t get crowded with gatecrashers. 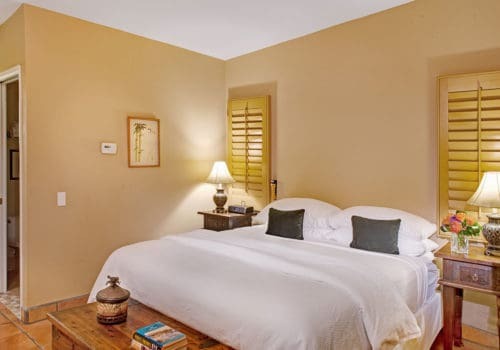 The Hacienda is the best place to experience gay Palm Springs. It’s been a big draw since it opened in 2000. This is one of the most luxurious gay resorts in the world and the best in California. It’s a stunning place to unwind and be pampered. 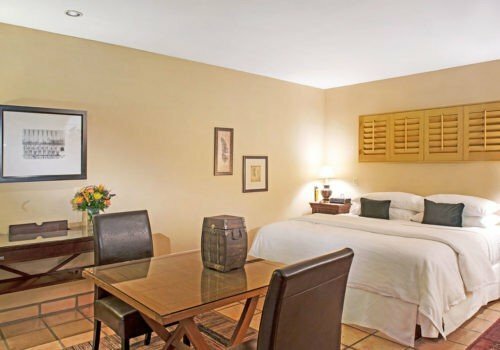 At 300 ft2, the Patio Room offers ample space, an oversized bed, writing desk and LED TV. At 600 ft2 this suite is more like a private apartment. There’s a large walk-in/roll-in shower, an open-plan living area, a private patio and views of the elegantly landscaped east pool. This the most luxurious suite. 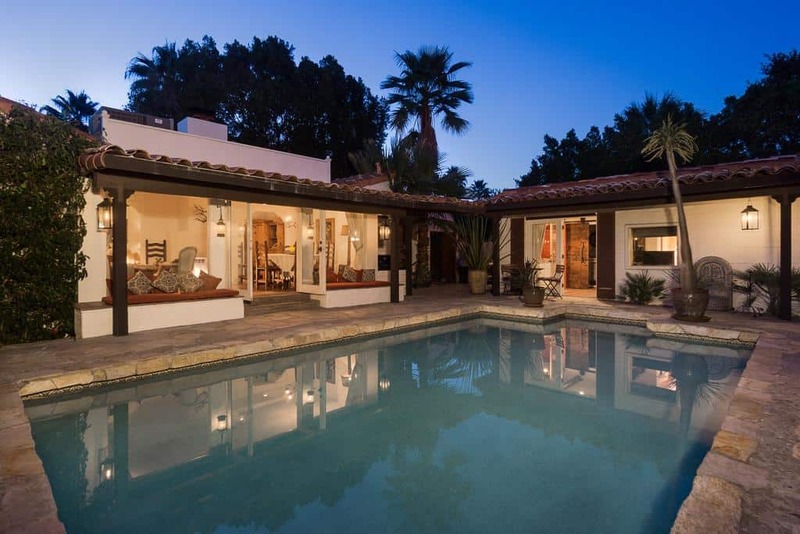 It has a large fireplace, a separate bedroom, a large dining and living area, a full kitchen and a private patio. At 900 ft2 it has the proportions of a private residence.